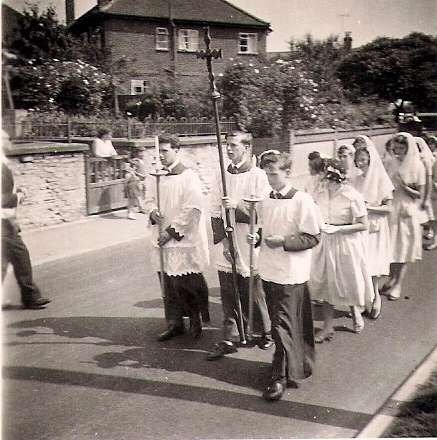 1950s or early 1960s Corpus Christi Procession. 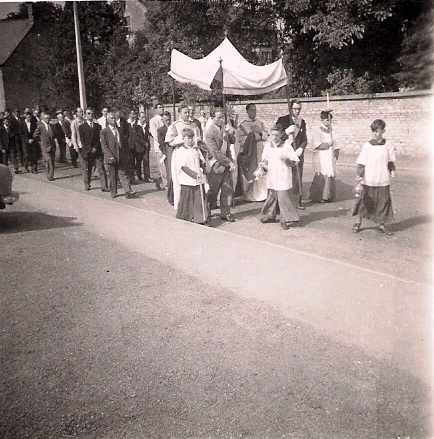 The procession is shown making its way down the London Road, Priory Road towards the old Catholic church, and in the Garth Park. 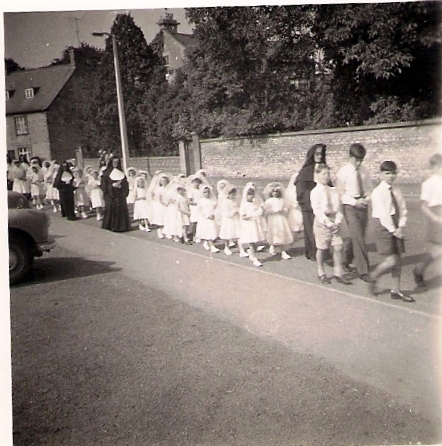 The Blessed Sacrament is being carried in a monstrance under the canopy visible in the third picture. 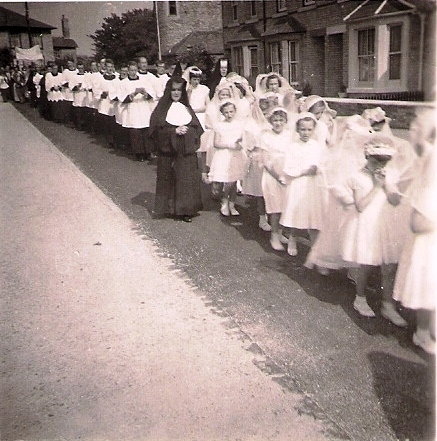 These photographs must date to after 1953 as the newly arrived Presentation Sisters can be seen in charge of the First Holy Communion Children. 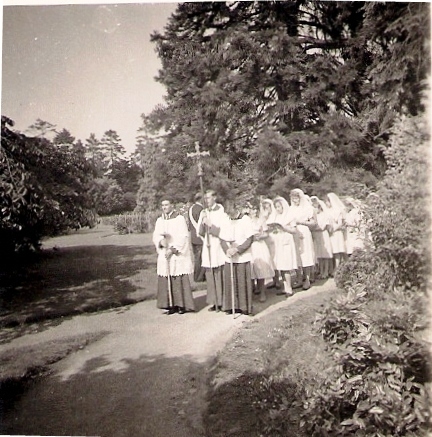 Posthumous thanks to Ellen Przybyl for the photographs. Passing the forecourt of the Regal Cinema with The Hermitage visible in the background. The top of Priory Road, St. Edburgh's Hall in the background.